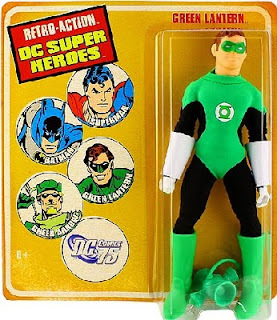 I have not seen them hit the store shelves yet, but here's a look at the new Retro Action DC Super Heroes on their blister cards. 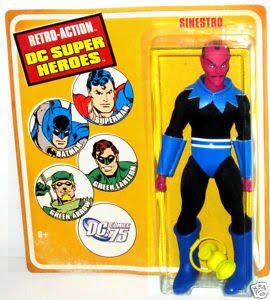 Other than Green Arrow I've pretty much only seen them in a loose format. 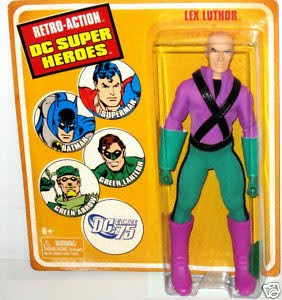 Take a look at: Superman, Lex Luthor, Green Lantern, and Sinestro. Man, I need to get these. I probably need to give one away in a contest or something. What do you think? 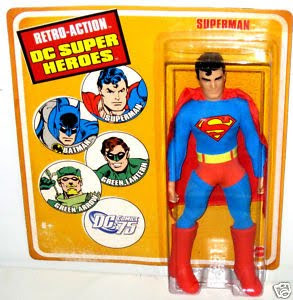 For more Super Hero toy collectibles check us out.